Question: What types of masonry, hardscape and concrete work do you perform? We install, rebuild, or repair just about everything associated with brick, block, stone, pavers, travertine, retaining wall block and concrete. Additionally we do restorations on brick or stone mortar joints known as “Tuckpointing” which is grinding out the old deteriorated cement and installing new. Along with waterproofing/sealing existing concrete and masonry structures. Question: Can you work in the winter? 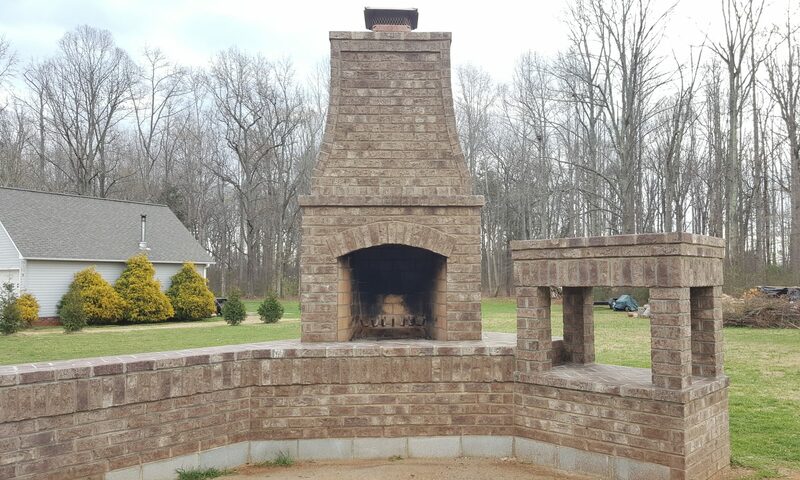 Nearly all types of masonry and concrete work can be done in the winter months here in North Carolina. Given the proper preparation with safe additives such as anti-freeze protection which is added as needed. Question: Do you provide free estimates? We provide one free consultation and a detailed estimate.